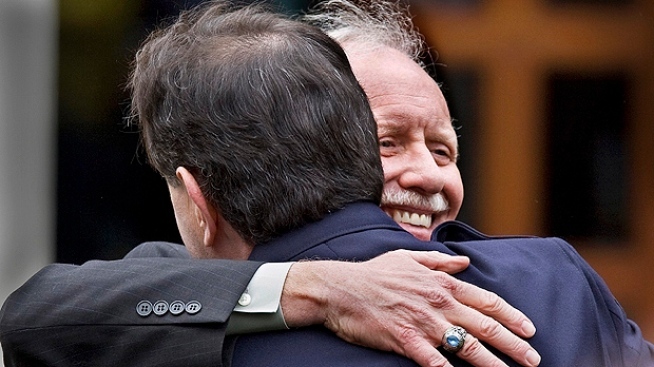 "We Were Simply Doing the Jobs We Were Paid to Do"
US Airways pilot Chelsey B. Sullenberger III hugs a friend after attending a celebration in his honor in his hometown of Danville, California. US Airways Capt. Chesley "Sully" Sullenberger spoke briefly and modestly at his homecoming celebration in Danville today, his first address to the public since being hailed a hero for safely landing a disabled aircraft last week. The city of Danville planned the event to welcome home the man who piloted US Airways flight No. 1549 safely into the Hudson River in New York on Jan. 15, saving the lives of all 155 people on board. Sullenberger and his wife both spoke to the crowd of more than 5,000 people from a stage at the city's Town Green during the 45-minute ceremony. Sullenberger limited his time at the podium to expressing his gratitude for "the outpouring of support" he and his family have received, and said he was glad to be back home in Danville. "Circumstance determined that it was this experienced crew that was scheduled to fly that particular flight on that particular day," Sullenberger said. "I know I can speak for the entire crew when I tell you we were simply doing the jobs we were trained to do," he added. He then thanked the crowd, and returned to his seat. 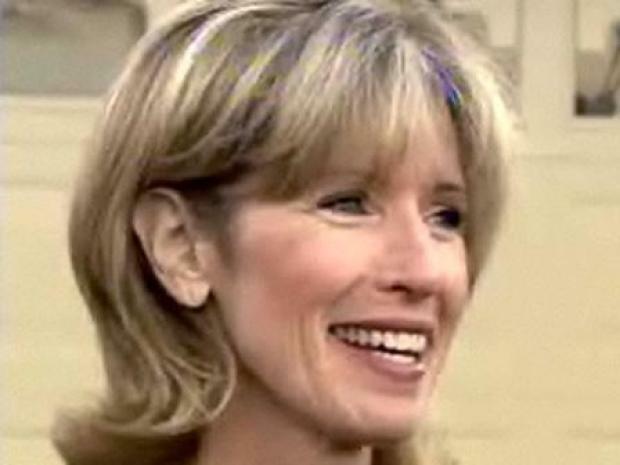 His wife Lorrie Sullenberger said she and her family were "breath-taken" when they arrived and saw the packed audience at today's ceremony, which began at 1 p.m. and ended at 1:45 p.m.
She began to cry as she called her husband "honorable" and "the man who makes my cup of tea every morning." "I've always known him to be an exemplary pilot," Lorrie Sullenberger said. "I knew what the outcome would be that day because I know my husband." Among those in attendance were Danville Mayor Newell Arnerich and Congressman Jerry McNerney, who each made brief remarks as well, according to event organizer Greg Gilbert. Arnerich honored Sullenberger by giving him a key to the city, and Danville Police Chief Chris Wenzel named Sullenberger an honorary police officer, Gilbert said. In addition, Danville Fire Chief Richard Price gave Sullenberger a Citizen Medal of Valor "for the lives he saved," according to Gilbert. The program also included a presentation of the colors by the U.S. Air Force Color Guard out of Travis Air Force Base, the singing of the national anthem by San Ramon Valley High School student Grace Leer, and a performance by the San Ramon Valley High School marching band, Gilbert said. "It was a great feel," Gilbert said. "There was lots of cheering. It was a great time for everybody."